Curated in conjunction with Joshua Mack. With the gracious cooperation of Hiroko Kudo and the Estate of the Artist. 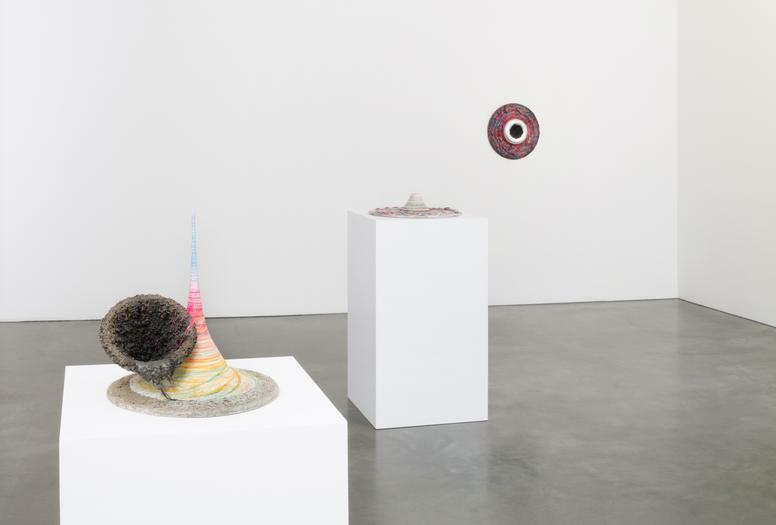 Andrea Rosen is proud to present the gallery’s third exhibition exploring the work and ideas of Tetsumi Kudo (1935-1990). 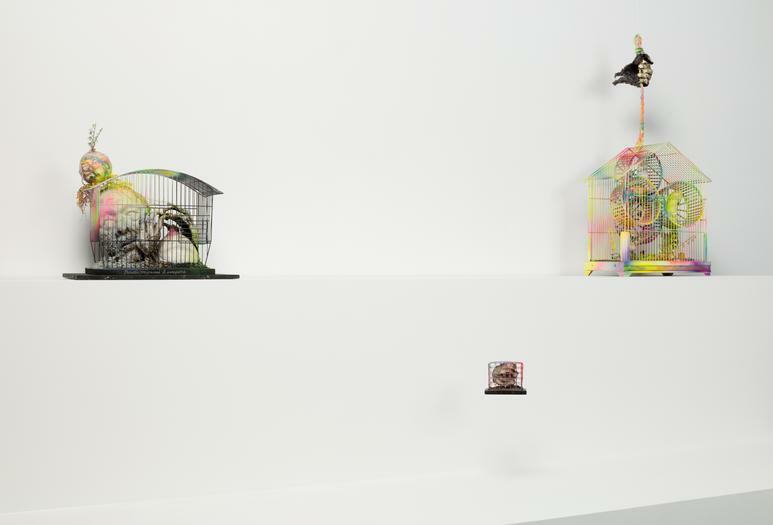 Building on past shows that surveyed Kudo’s career and contextualized it vis-á-vis contemporaries like Paul Thek, Hannah Wilke, and Alina Szapocznikow, the current presentation will examine the artist’s development in the 1970s and ‘80s, highlighting the spiritual and symbolic currents to which Mike Kelley (quoted above) identified in an essay for Kudo’s 2008 retrospective at the Walker Art Center. 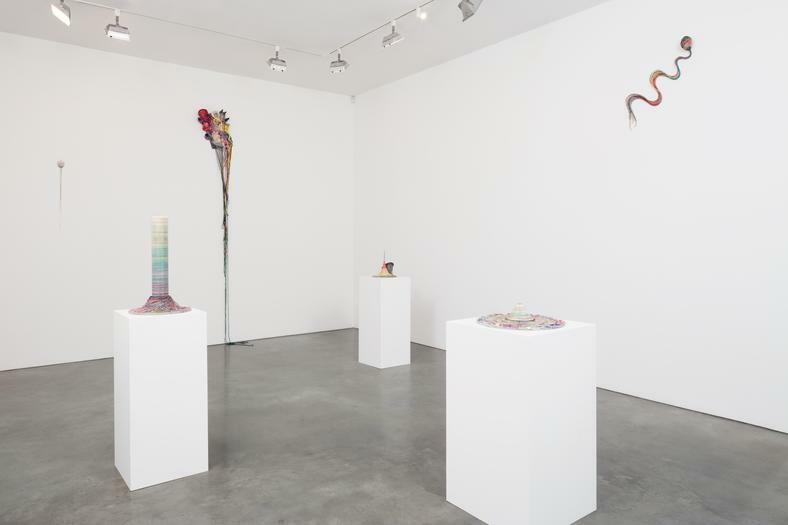 The exhibition at Andrea Rosen Gallery brings together a survey of approximately eight string works and over twenty cages, spanning from 1966-1988. Born in Osaka in 1935, Tetsumi Kudo was essential to the development of “anti-art” avant-garde art in Tokyo in the late 50s and early 60s that used store bought objects and found material in order to shock and revolt the status quo and to make art that would be defined by experience rather than medium, author, or commercial value. Equally important to developments in Europe, Kudo settled in Paris in 1962 and quickly became associated with artists like Arman and Daniel Spoerri and critics such as Pierre Restany and Alain Jouffroy. 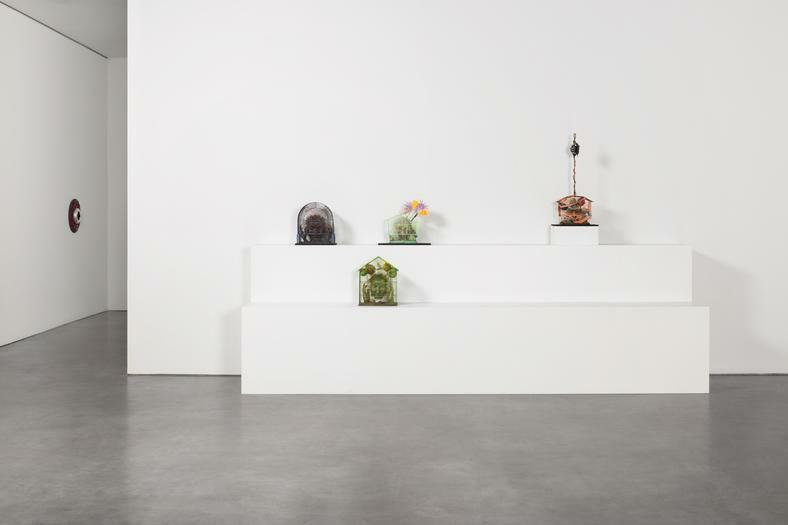 Through performances (one attended by legendary gallerist Ileana Sonnabend), films, texts, and most importantly sculpture incorporating household objects, he sought to subvert the separation between art and lived experience and to interrogate mass consumerism and the rise of technology. In 1965 he wrote that religion and tradition had become commodities like “stockings, ice-cream, and instant coffee”. He believed that World War II and the rise of the market economy had rendered European Humanism, with its emphasis on the individual over the social, invalid. 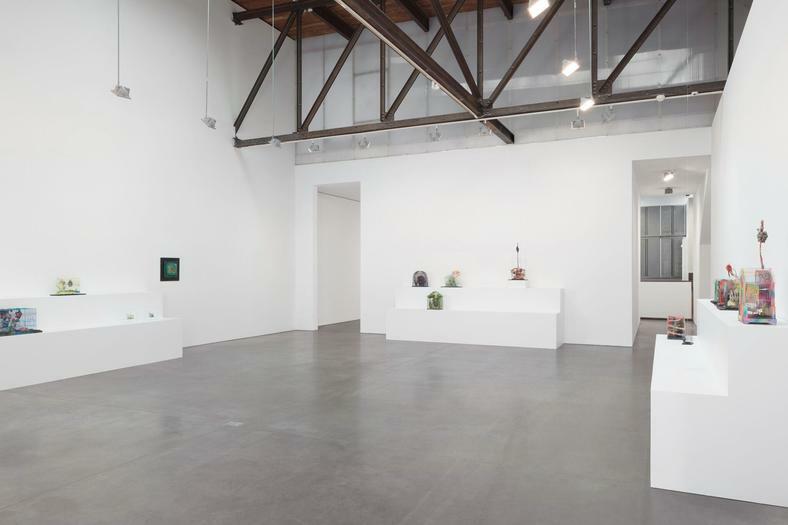 In contrast, he suggested that pollution, technology, and humanity had become a symbiotic whole in which each affected the other in what had become intertwined “new ecology.” Kudo conceived of his work as models or maquettes of these realities. 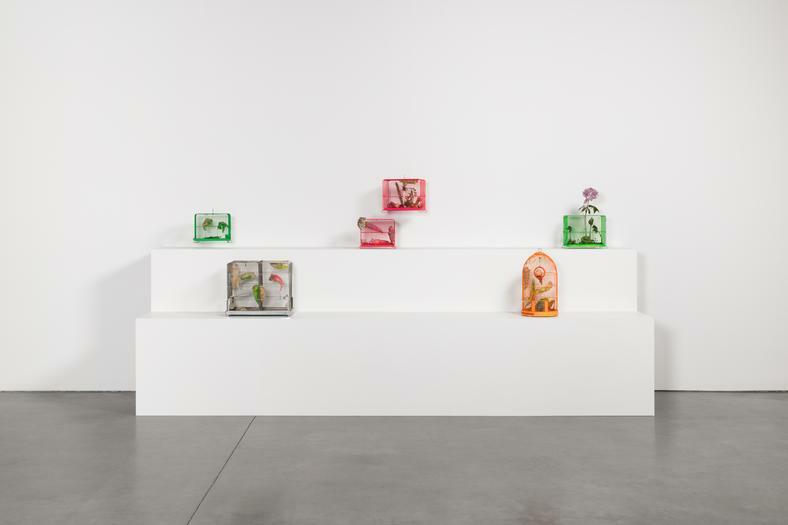 His inclusion of electronic circuitry, store-bought kitchen items, plastic dolls, and vacuum tubes, among other industrial produced materials renders his pieces as outtakes or parts of contemporary ecology. 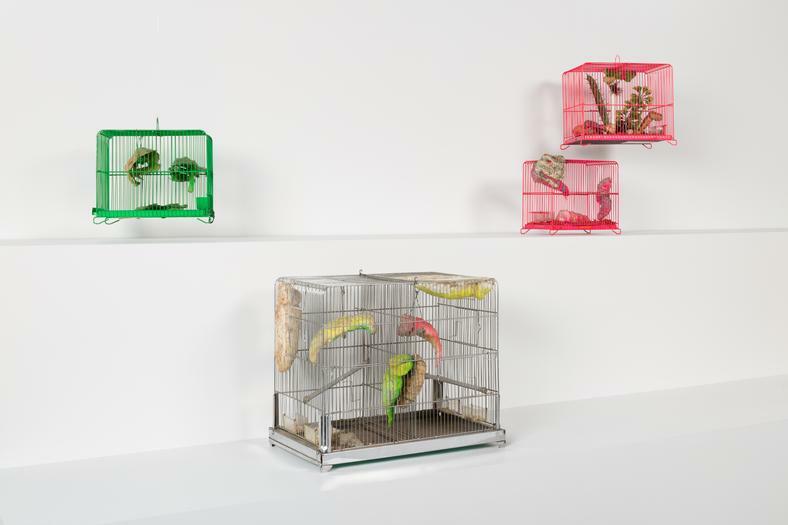 Among the most sustained and complex expression of his ideas were the works he realized using birdcages, a series he began in 1965 and concluded in 1981. In these, body parts meld with transistors and circuit boards sprout plastic flowers. Votre portait (1974), which includes a face of the French Romanian poet, Eugène Ionesco, who symbolized European egotism for Kudo, suggests the impotence of anthropocentric culture in the face of technology, pollution, and consumerism, while also questioning how artists can respond to this helplessness. This quandary engendered a series of cages titled Portrait d’artist dans la crise (Portrait of the artist in the crisis) that signals a more introspective turn in Kudo’s work. 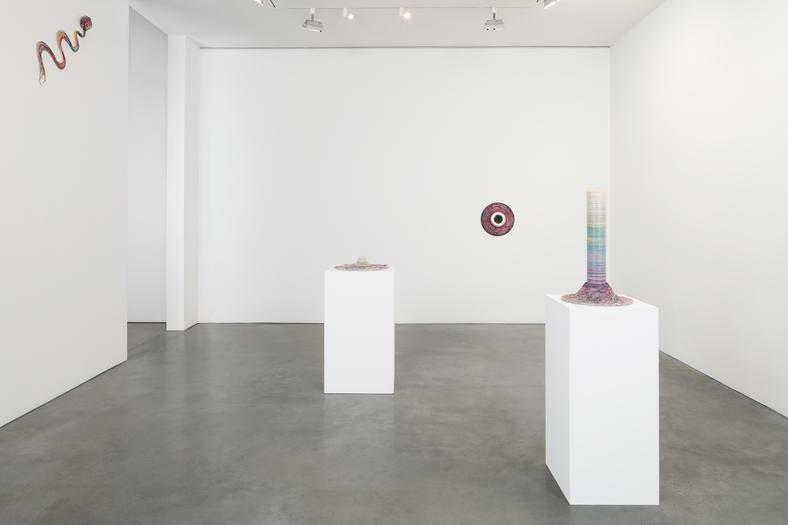 In the late 1970s, during a period of ill health, Kudo began including lengths of colored string and reams of magnetic tape in his works to suggest the energy of thoughts, memory, and life moving within and between the mind, the body, and the animate world. 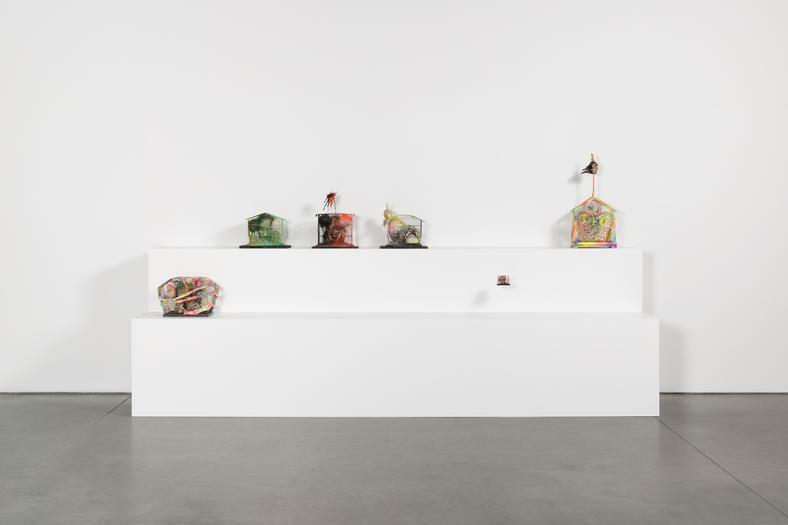 By 1981, he had ceased using figurative elements, instead affixing yarn and thread to papier mâché-like cylinders and cones. Kudo referred to these as trou noir or black holes and also suggested that several reflected the balance of centrifugal and centripetal forces, which he believed unified Japan, not in social terms, but in a pantheistic sense. 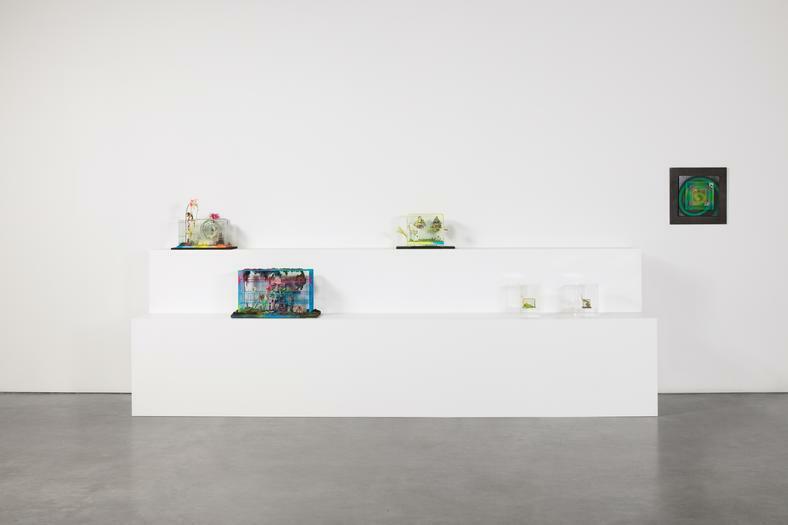 The exhibition aims to explore this underlying spirituality and holistic thinking in all of Kudo’s work. Tetsumi Kudo work has been widely recognized since the 1960s, exhibiting throughout Europe and Japan. His work can be found in the collections of Centre Georges Pompidou; Musée d’Art Moderne de la Ville de Paris; Museum of Modern Art, New York; the Guggenheim Museum; Walker Art Center; Stedelijk Museum; the Pinault Collection; Aomori Museum of Art; National Museum of Art, Osaka; National Museum of Modern Art, Tokyo; Museum of Contemporary Art, Tokyo; among others. His work is the subject of a large scale retrospective this Fall at the Fridericianum in Kassel, Germany (2016). Other significant exhibitions include: a retrospective in 2013 (Osaka Museum, Aomori Museum, and National Museum of Art, Tokyo); Walker Art Center (2008), La Maison Rouge, Paris (2007), The National Museum of Art Osaka (1994), the Van Reekum Museum, Apeldoorn and the Stedelijk Museum (1991).